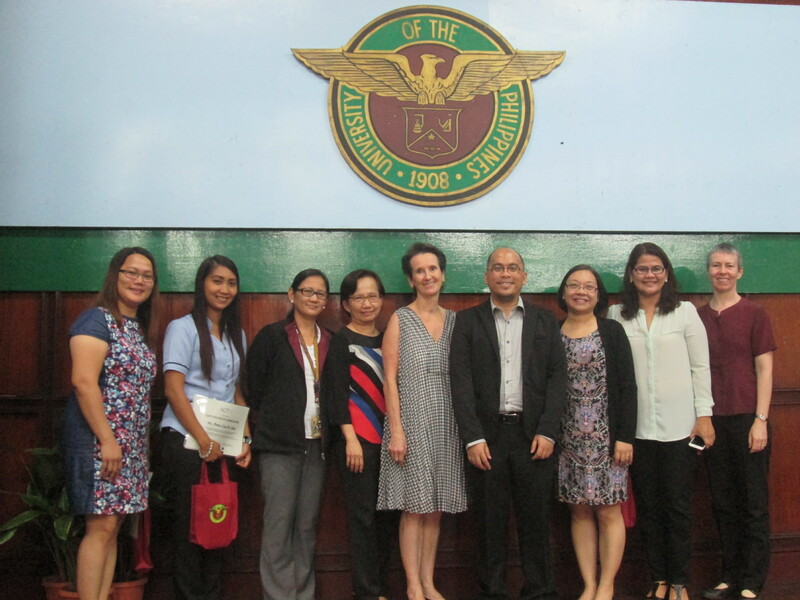 A joint research forum was held at the University of the Philippines’ (UP) College of Education on 6 September 2016 to disseminate the findings of two ACTRC research projects: the Formative Assessment Project and the Science Curriculum Project. The forum was attended by over 130 delegates, including DepEd teachers, education students from public and private universities, and representatives of other ACTRC partners – the Basic Education Sector Transformation (BEST) program and the Australian Department of Foreign Affairs and Trade. The forum adopted a panel discussion format featuring representatives from ACTRC, the Assessment Research Centre (ARC) of the University of Melbourne, the Department of Education (DepEd) and the UP National Institute for Science and Mathematics Education Development (NISMED). In a session on each project, a presentation of research findings by the Project Lead was followed by responses from the representatives of DepEd and NISMED and a 30-minute forum addressing written responses from the floor. A notable theme that emerged from the first session, entitled “Formative Assessment: A Focus on the Use of Student Data,” was the difference between formal and informal methods of formative assessment. The study’s findings were presented by Mr Louie Cagasan, ACTRC Research Officer and Project Lead of the Formative Assessment team, and the panel discussion was facilitated by Dr Esther Care, ACTRC Director. Joining the discussion were Dr Melanie P. Estacio, Education Program Supervisor in DepEd-Region XI’s Curriculum and Learning Management Division and member of the technical working sub-committee on classroom assessment, and Ms. Anna Liza M. Chan, Senior Education Program Specialist from DepEd Central Office’s Bureau of Curriculum Development. The discussion highlighted the usefulness of ACTRC study’s finding that different levels of informal formative assessment can be identified in Philippine classrooms. The main topic of the second session, “Progress of Students through the Science Curriculum: A Focus on Matter (Chemistry)”, was the level of understanding demonstrated by students entering Grades 7 and 8 Chemistry. The session was led by ACTRC’s Curriculum Program Leader, Dr Marlene B. Ferido, and facilitated by ARC’s Ms Pam Robertson. Completing the panel were Dr. Helen dH. Catalan, NISMED’s Deputy Director for Research and Extension, and, from DepEd, Ms. Anna Liza M. Chan of the Bureau of Curriculum Development and Ms Mirasol P. Garcia of Nagpayong High School. The discussion focused on the challenge faced by teachers preparing students for the demands of the Science curriculum.